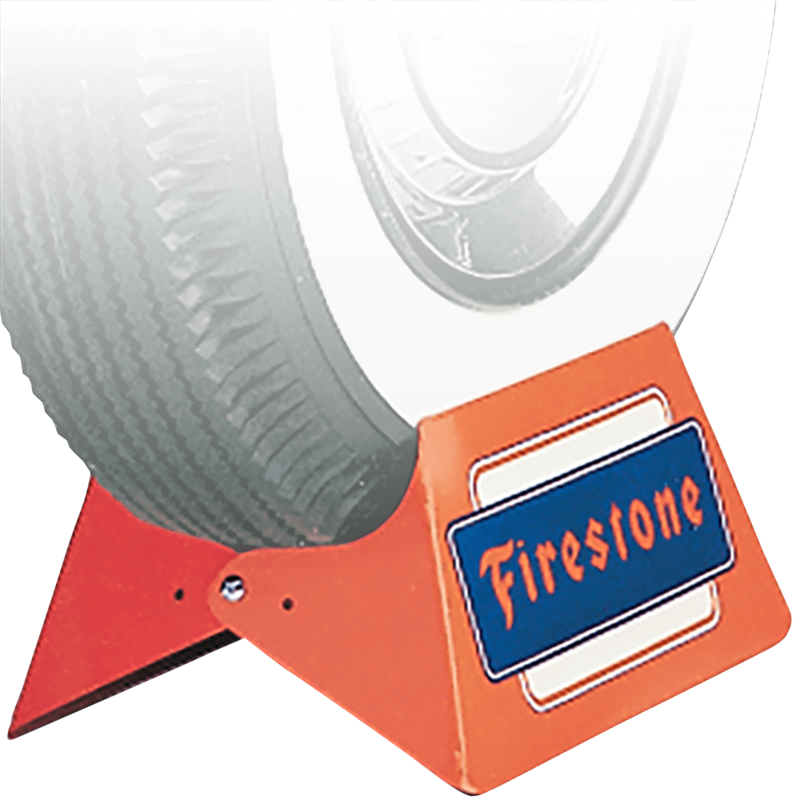 Use this tire Stand with authentic Firestone logo for a functional garage tool, or as a display piece. 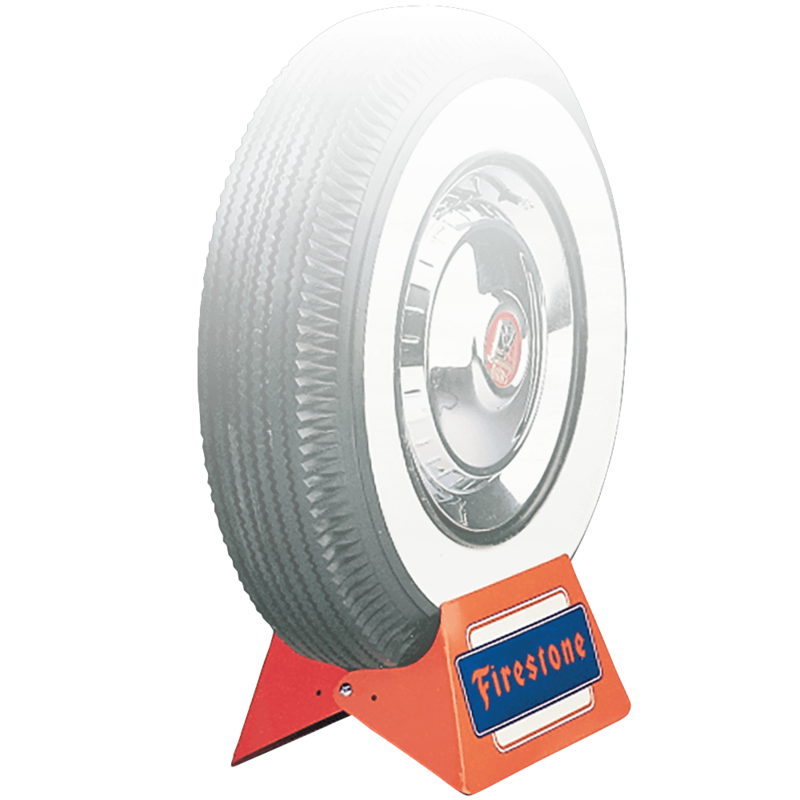 Tire stands are great for displaying vintage tires and just as useful to stand your tires up while you work on your vehicle. 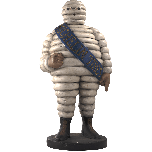 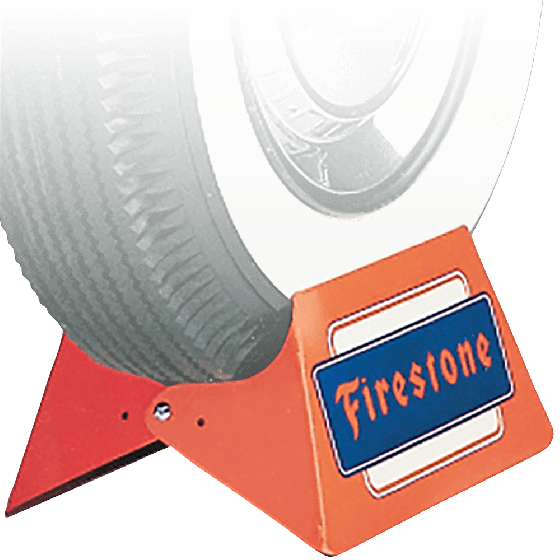 Excellent for any showroom or automobilia collection, these authentic, metal scissor-style tire stand feature the original Firestone (98995) logo. 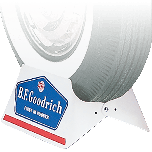 Also available in the original B.F.Goodrich (98994) logo.